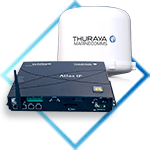 Thuraya Atlas IP delivers added value to end-users seeking advanced connectivity and greater operational efficiency on board ships. 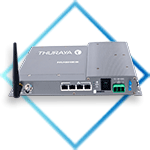 It provides merchant maritime, fishing, government and leisure users with a purpose-designed, fully-featured maritime satellite terminal that supports voice and broadband IP data connectivity at speeds of up to 444kbps. 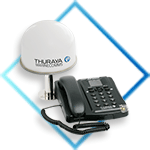 For ship owners or managers who need a robust and highly reliable maritime-specific terminal for basic data and VoIP capabilities, look no further than the Thuraya Orion IP. 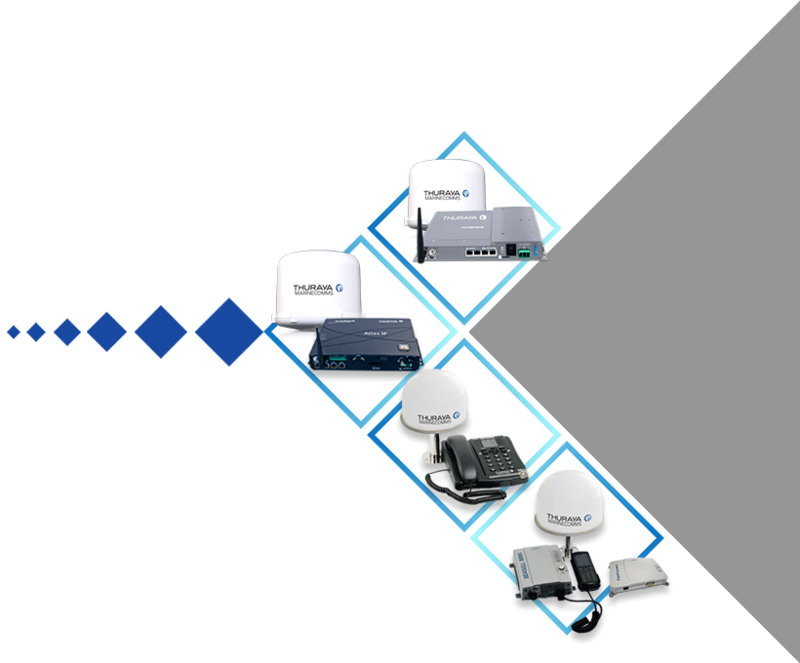 Our Seagull 5000i with Fax Connect is a voice, data and fax satellite terminal with a built-in GPS tracking system that keeps vessels connected at sea. The SF2500 is voice satellite terminal that combines voice capabilities, crew calling, GPS tracking, geofencing and SMS services in a compact, cost-effective package. 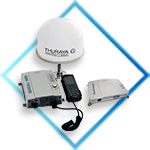 Thuraya enables you to harness the advantages of our cutting-edge satellite technology, for connectivity without boundaries, within our satellite network covering the shipping routes of Europe, the Middle East, Africa and Asia.